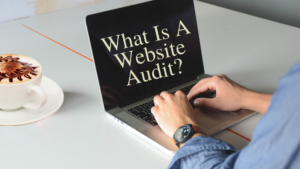 A website audit is a report which details the inside and the outside health of a website. Websites are like a human body, they have an outside “skin” which is the website you see. They also have an inside “skeleton” which are the instructions to tell computers and phones what to display. Like a human skeleton, a websites health depends on the strength of its skeleton. Before any work is done on a website, before a marketing plan can be complied and implemented, it is important to see how the website is functioning now. Like taking a car for the NCT, you have to open the bonnet and look inside to make sure the engine is working correctly. There are many aspects of a website which most people never see or even know exist. A website audit will check these aspects, and let us know if they are working correctly or if something needs to be fixed. The website audit report I use gives a detailed analysis of many of the hidden aspects of a website. These aspects are important for SEO and the safety and security of the website. I also check if the website complies with EU Cookie Laws and GDPR. I put all the information gathered into a report. This report will then form the basis for the overall marketing plan. During an individual consultation, I will go through the website audit report with you, and show you how to implement the changes and recommendations.